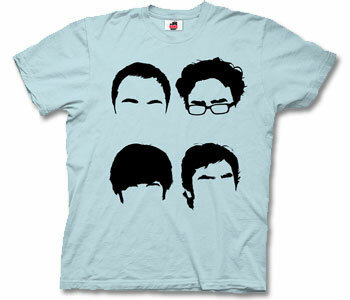 ***NEW*** This Big Bang Theory shirt features the hairlines of Sheldon, Leonard, Howard and Raj, kinda reminiscent of a Beatles cover! Colour is light Blue. Made of 100% cotton. All The Big Bang Theory merchandise is officially licensed. love this, reminds me of the fab 4 Beatles , but way funnier.